Inspiration for your next casting? Any of you have any desire to cast something please check out this YouTube Channel, Alumitube. There is a link below showing him casting a full size Bow. We are capable of doing everything shown in these videos. Our 3D printer can print the parts in pieces which we can then assemble to make a full scale design. Be sure to let us know (ridgeway.38@osu.edu) if you have any ideas you would like to cast and we can help you make it happen! 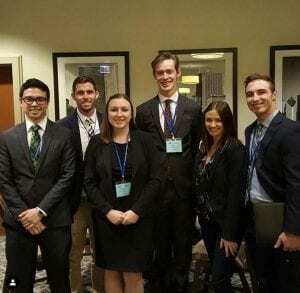 The American Foundry Society Buckeye Student Chapter sent six students to the FEF Conference Industry Conference in Chicago in November, 2018. Troy Lewis accepted an intern position with General Motors in their Die Cast plant in Bedford, Indiana. Sarah Ridgeway accepted an intern position with Harrison Steel Casting Co. located in Attica, Indiana. Colin Ridgeway received the Loper Award. The Chapter would like to say a special congrats to Wil Tinker who was the 2018 E.J. Walsh Award Recipient. The E.J. Walsh Award was is the highest honor FEF currently bestows on the person who has given outstanding service over the years to the goals and ideals of FEF. Congrats Wil! And thank you for your support to our student chapter at OSU!! 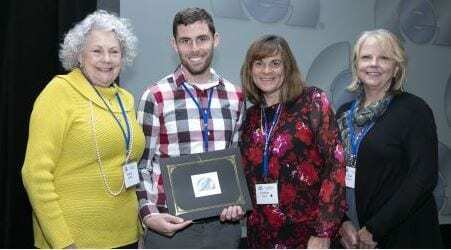 Colin Ridgeway was announced the winner of the 2018 Loper award at the annual Foundry Education Foundation’s College Industry Conference ( FEF, CIC). The award is an annual award given in honor of Dr. Carl R. Loper Jr. Dr. Loper served as an FEF Key Professor at the University of Wisconsin-Madison for over 30 years. 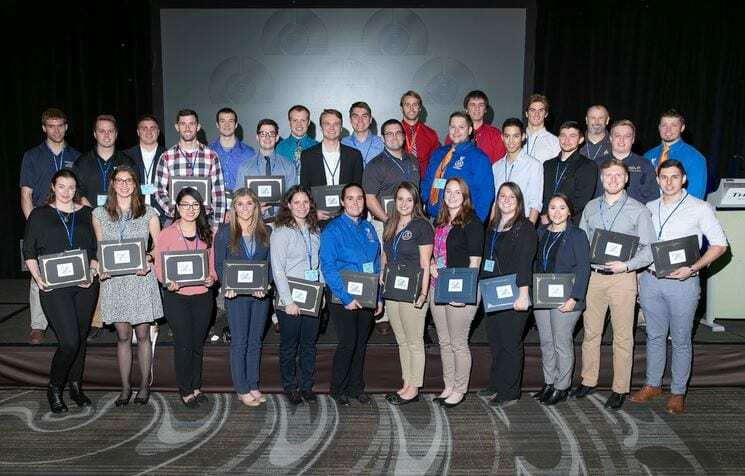 Dr. Loper is an Honorary Life Member of the AFS (Howard Taylor Award, Penton Gold Medal, Hoyt Memorial Lecture), a Fellow Member of the American Society for Materials, and a member of the American Welding Society (Adams Memorial Award). He has also received the Merton C. Flemings Award from the Manufacturing Processes Institute and the EJ Walsh Award from FEF. 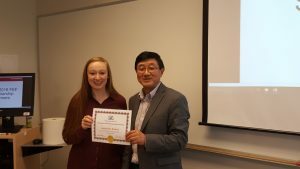 After receiving the award, Colin said it was an “Honor to be recognized with a name as prestigious as Dr. Loper, and I am extremeley grateful to the Loper family for their generousity.” The award was accompanied by a $3,000 Scholarship. The Central Ohio American Foundry Society will visit The Ohio State Foundry Club Thursday (10-18-2018) The meeting will be held in 161 MacQuigg Hall and is open to everyone! Food will be provided for students. Come check out what is going on in the OSU Foundry Club! Please e-mail Colin (ridgeway.38@osu.edu) if you have any questions! It has just been announced that Jacqui Walters has won the 2018 FEF Non-Ferrous Founders’ Society Scholarship. This scholarship has a value of $1,000 and is given to students based on their education, work experience and an essay prompt. 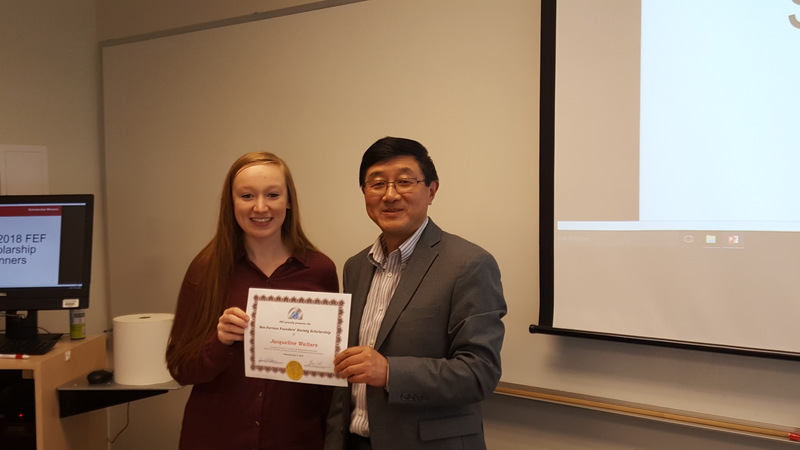 Jacqui becomes the second OSU recipient of this award behind Adam Hodges who won this award in 2015. Welcome to the 2017-2018 school year here at OSU! I hope the time off has helped rejuninate you and you’re ready to get back in the foundry with lots of new creative ideas! This semester we hope to try lots of new ideas for making new and exciting castings. If you need something to get your creative side started, please check out the link below! It is also a great tutorial on sand casting in general for our new members! We highly encourage all of you to apply today! Please click HERE for Applications! Foundry Club Helps Central Ohio AFS Comic Con Party! The Central Ohio AFS Chapter has been beyond helpful in bringing the Foundry Club at Ohio State back to life. 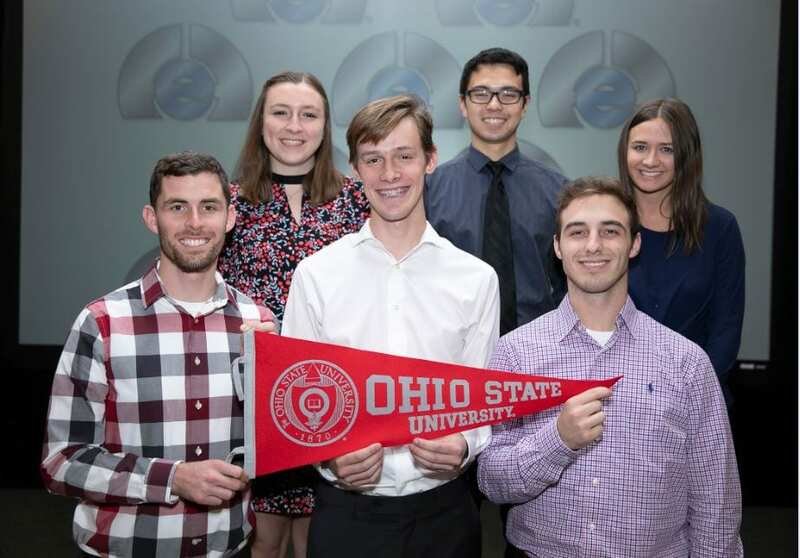 To help say thanks, The Ohio State University Foundry Club has made several trinkets that will be used as party favors for the Central Ohio Chapter’s annual Winter Party. Below are a few examples. To see more pictures click HERE! 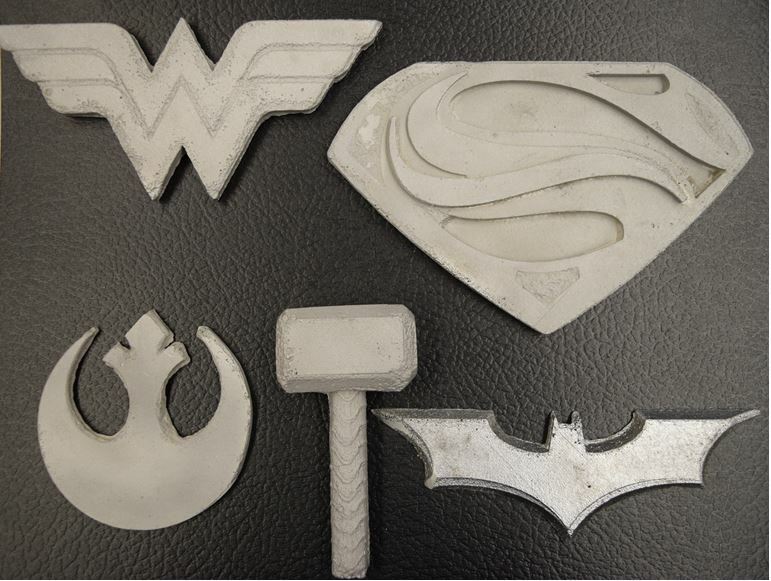 These show just a few of the many things that can be created down in our foundry. Come down and let’s make something together! 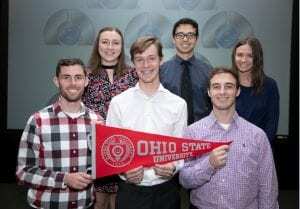 The AFS Central Ohio Chapter hosted our student chapter last evening where our very own Adam Hodges spoke on our projects, activities and plans for the future. 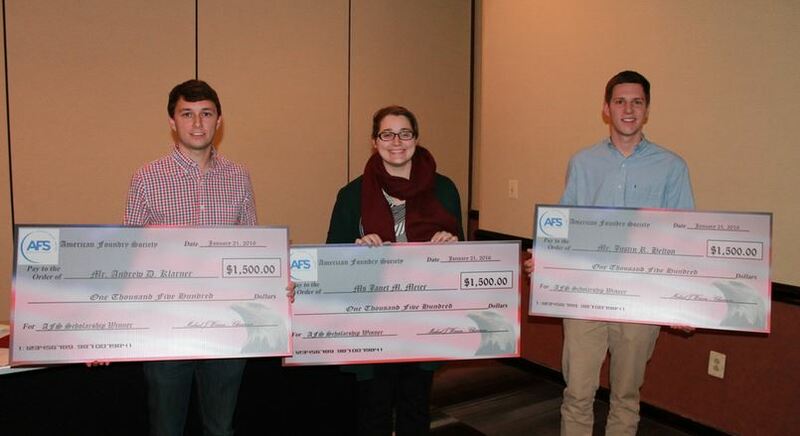 Following our talk, The Central Ohio Chapter announced the three winners of their annual scholarship. The winners of these awards, each with a value of $1,500, were Andrew Klarner, Janet Meier and Justin Helton. Winning the award was based, on thier commitment to the Foundry Industry, the Club and the community. We are very proud of the winners and hope to have another successful group of students for next year. Next year the scholarship may involve an actual casting and a higher dollar amount! Keep a lookout for what’s to come!